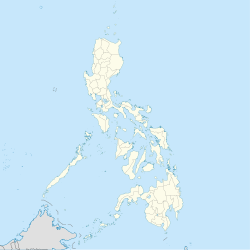 Tagoloan II, officially the Municipality of Tagoloan II, is a 4th class municipality in the province of Lanao del Sur, Philippines. According to the 2015 census, it has a population of 11,169 people. Bounded on the east by Cagayan river (Municipality of Talakag, Province of Bukidnon); on the south by Municipality of Bubong, Province of Lanao del Sur; on the south-west by Municipality of Kapai, Province of Lanao del Sur and Municipality of Tagoloan, Province of Lanao del Norte; on the west by City of Iligan; on the north by Cagayan de Oro City, Province of Misamis Oriental. Tagoloan is a compound word composed of two (2) "maranao" terms connected together. The term, "Tago" refers to something inside, "the content", which is refers to the, "inhabitants", and "oloan", a noun means "leader" in which in its adjective form is, "chief or head" in terms of leading a position in a community or village or a clan. The word "inhabitants" stated in the above paragraph is referring to the people of Tagoloan in general, while “oloan”, a maranao term meaning leader referred to Sharif Alawi. In short, people of Tagolaon are descent from Sharif Alawi". “Sharif” is an Arabic word, in its adjective form meaning, “noble" or a Muslim ruler, magistrate, religious leader. Sultan Sharif Alawi, established the Sultanate of Tagoloan in 1500. Some local historians say it was in the year 1515while Sultan Sharif Kabunsuan enthroned as the First Sultan of Maguindanao in the year 1520[better source needed]. Sharif Alawi is the eldest brother of Sharif Kabunsuan. Sultan Sharif Alawi spread Islam (prior to the arrival of Christianity in Philippine in 1521), in this town towards Surigao, Butuan, Bukidnon, Davao, Lanao del Sur and Norte, stretching towards Misamis Occidental in western Mindanao, while Sultan Sharif Kabunsuan only preached Islam in Maguindanao. The Roman numeral "II" was added to distinguish the municipality from another municipality with a similar name when Lanao was a single province. Though Lanao was divided into two in 1959, the numeral "II" has not removed since. ^ "Province: Lanao del Sur". PSGC Interactive. Quezon City, Philippines: Philippine Statistics Authority. Retrieved 12 November 2016. ^ "Province of Lanao del Sur". Municipality Population Data. Local Water Utilities Administration Research Division. Retrieved 17 December 2016. ^ "Tagoloan II, Lanao del Sur : Average Temperatures and Rainfall". Meteoblue. Retrieved 27 January 2019. This page was last edited on 24 February 2019, at 10:52 (UTC).